If you fear change, leave it in the tip jar. As a student who lives in North America, tip culture is really familiar to me. Also, as a person who had some experience in the food industry, I know exactly what I have to say when discussing tips. But seriously, in my opinion, tip jars are really pointless. 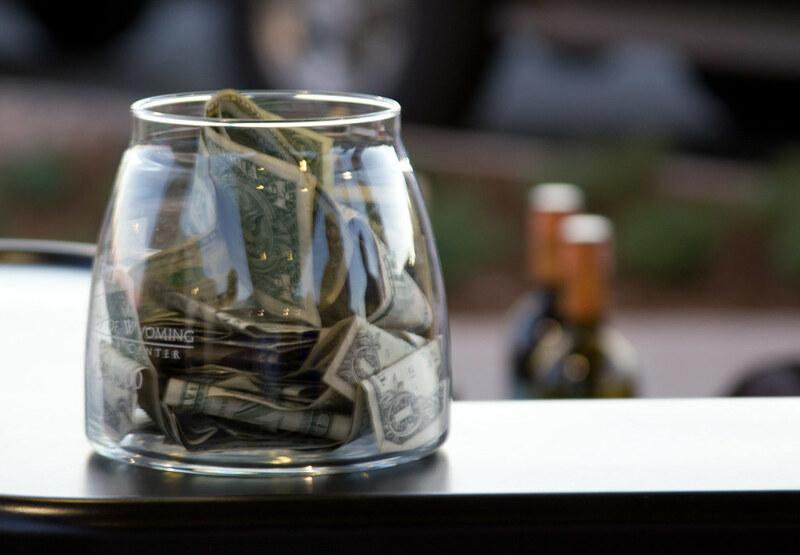 To a server, a tip from a customer is generally a sign of gratitude. If you're a good one, you can earn tips that are way above your paycheck. But, a tip is normally given to a server directly from the customer. After they are done with their meal, and handed their receipt, If they pay in cash, they will ask you to keep the change. If they pay in card, they will pay some extra money on top of their charged amount. It is rare for a customer to actually use one. (Of course, there are always customers who never gives you tips). At the same time, back in the day when I used to work as a server, I would pack takeout meals too. When the customer comes over to pick up their meal they would tip me directly. Similar to what I have been saying above, no one used tip jars even though it was right in front of the counter. Most people nowadays carry around credit/debit cards. Recall the last time you were at a restaurant, trying to pay your meal with your credit card. When the server hands you over a credit card machine, you would confirm the price, then either insert or swipe. The machine will then direct you to a page indicating whether you would offer some tips or not. I mean, why bother standing up and find a tip jar when the machine does it for you? To sum up, in my past experience, no one used tip jars to tip me and my fellow colleagues. It was more along the lines of being tipped directly from person to person. Also, tip jars are really prone to being stolen too, keeping some change out in the wild is really dangerous. I mean, it actually happened.